The mini-symposia will be mainly organized by volunteers, especially amongst the more senior members of our community. The duration of mini-symposium talks is also 30 minutes. 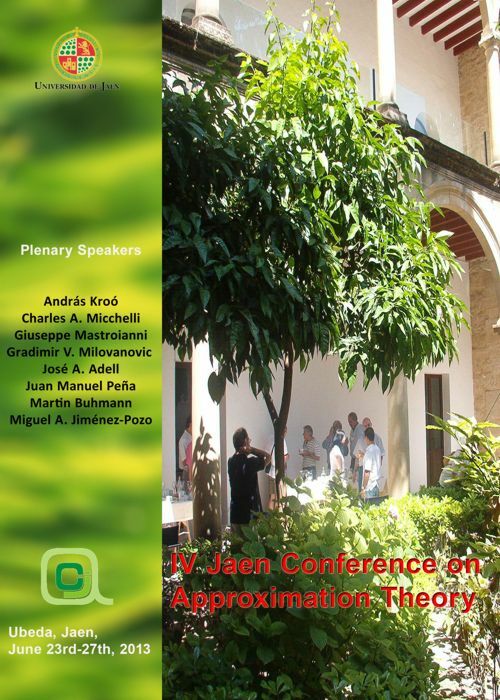 The length of mini-symposium talks and contributed talks will be the same. This will allow us to schedule such talks into parallel sessions. Name of the organizer(s) along with his/her affiliation and email address. Preliminary list of mini-symposium speakers (with affiliations and emails). Topics of the mini-symposium and a brief description of the intended presentations (titles and abstracts would be submitted later and new participants could be added later). Note that the mini-symposium organizer may, but need not be, one of the speakers. Moreover, the organizer is expected to serve as the session chair of his/her own mini-symposium. The deadline for submission of mini-symposium proposals is May 25th, 2013. If your proposal is accepted, which is to be done by May 31st, 2013, speakers in your mini-symposium will have until June 10th to submit abstracts of their talks. A book of abstracts will be given to all attendees. 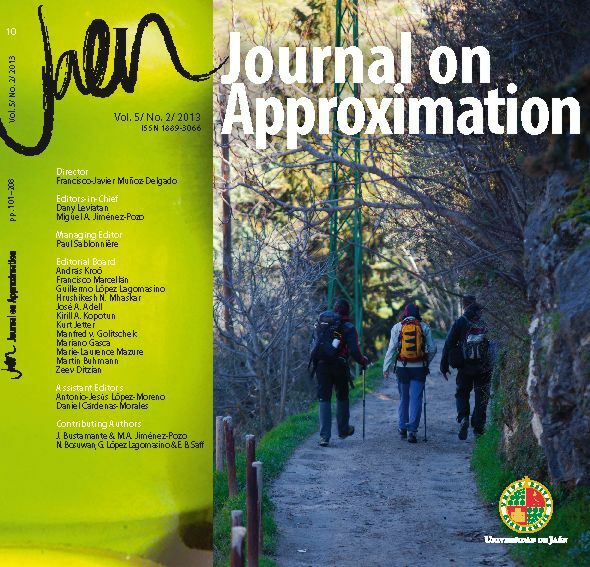 We will not prepare Proceedings of the Conference, but all the participants are invited to submit manuscripts (no necessarily about the subject of their talks) to the Jaen Journal on Approximation (please visit the web page of the Journal through the left-hand side menu ). We very much appreciate your eventual submission. Notice that according to the Conference Fee discounts, you can save some money.